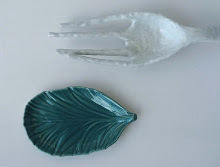 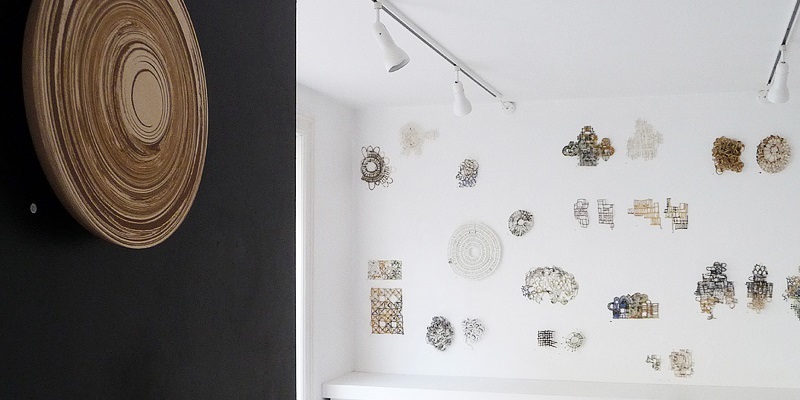 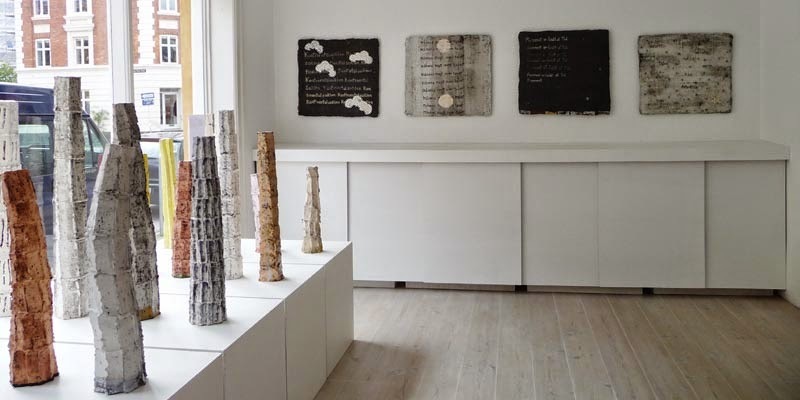 Delicate ceramic pieces with personal strength and poetry. 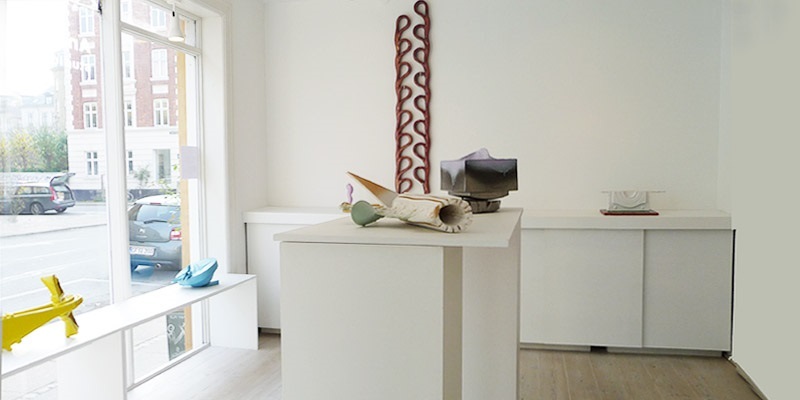 The exhibition shows new work by Bodil Manz, Jane Reumert, Malene Müllertz and Heidi Hentze. 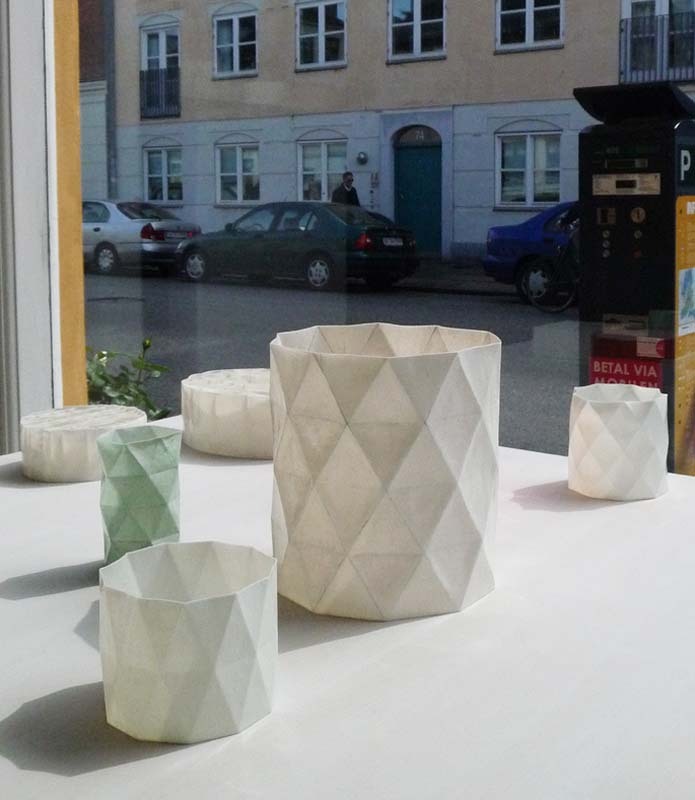 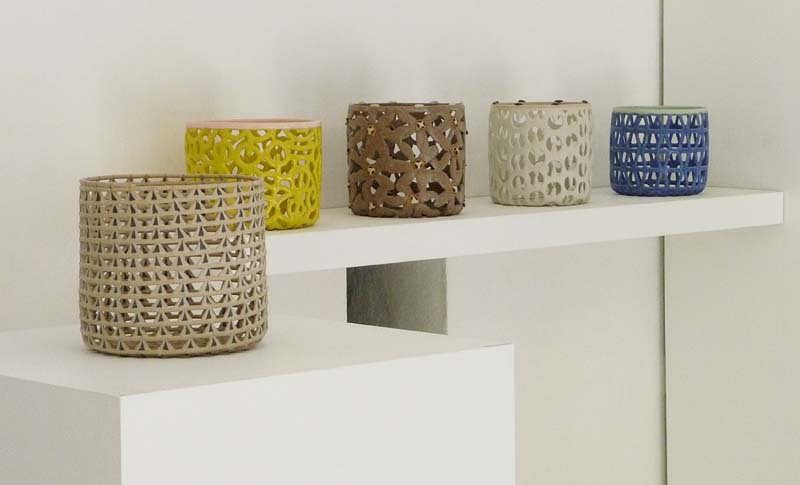 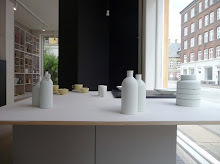 Four Danish ceramists, who master creating frail containers with personal power, identity and poetry. 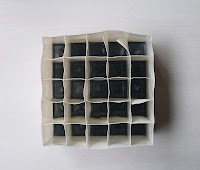 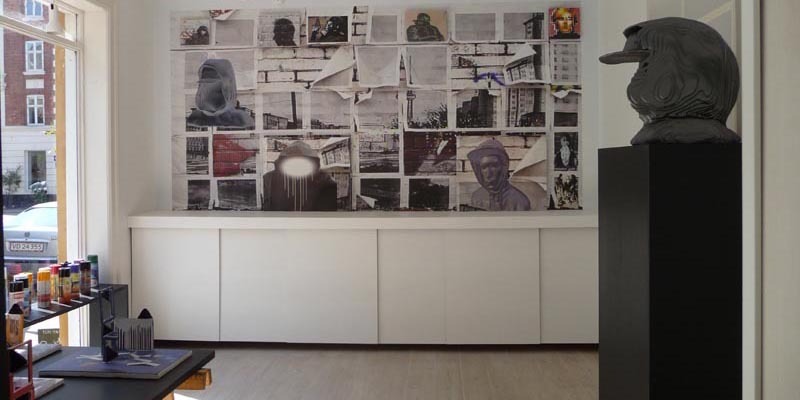 They present the result of new ideas and unusual sides of their art practice. 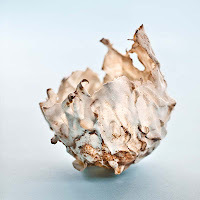 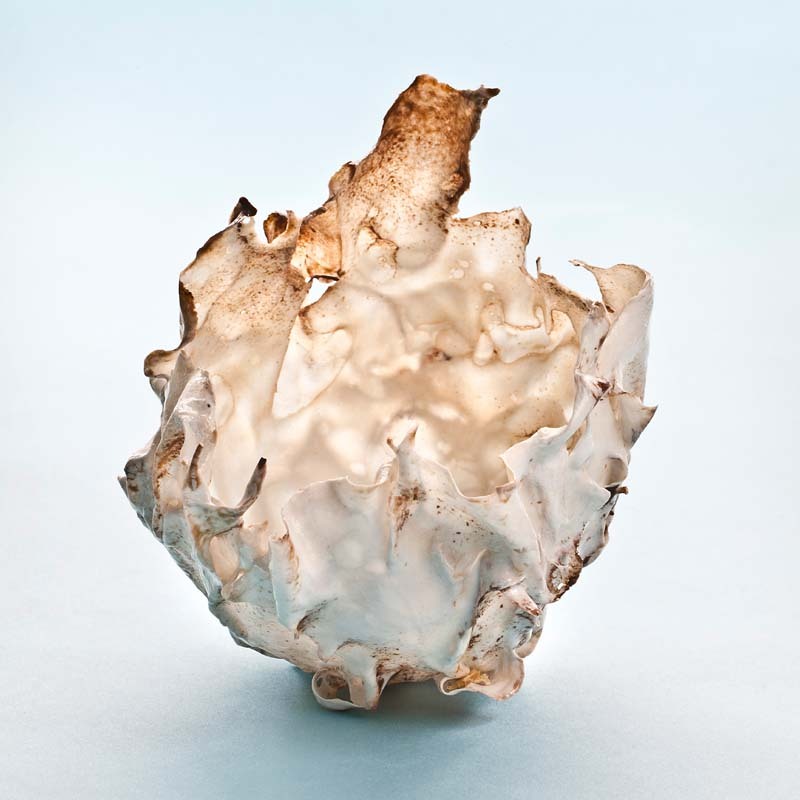 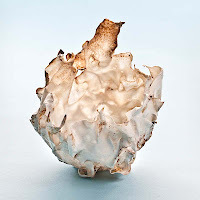 Fragility and transparency are related characteristics of their works. 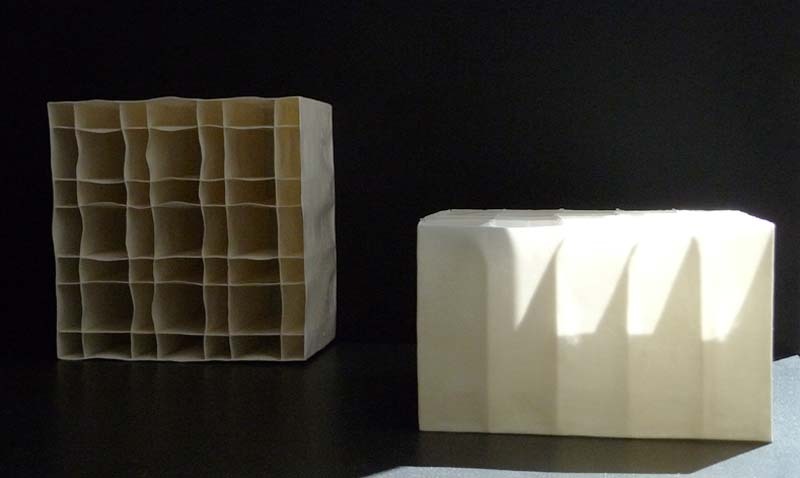 With an 'arts and crafts' background and a ceramic tactility and 'jar' reference, they have each in their own way developed the concept of function into an individual sculptural and personal area. 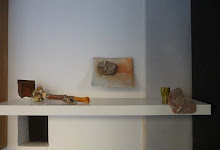 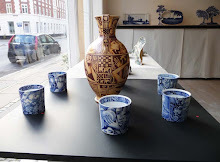 The characteristics of the pieces are closely related to the makers, their passion, curiosity, techniques of making and material refinement. 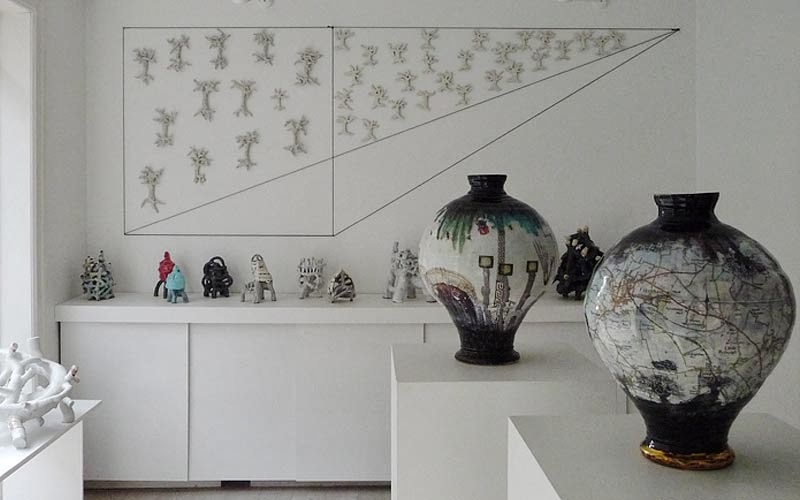 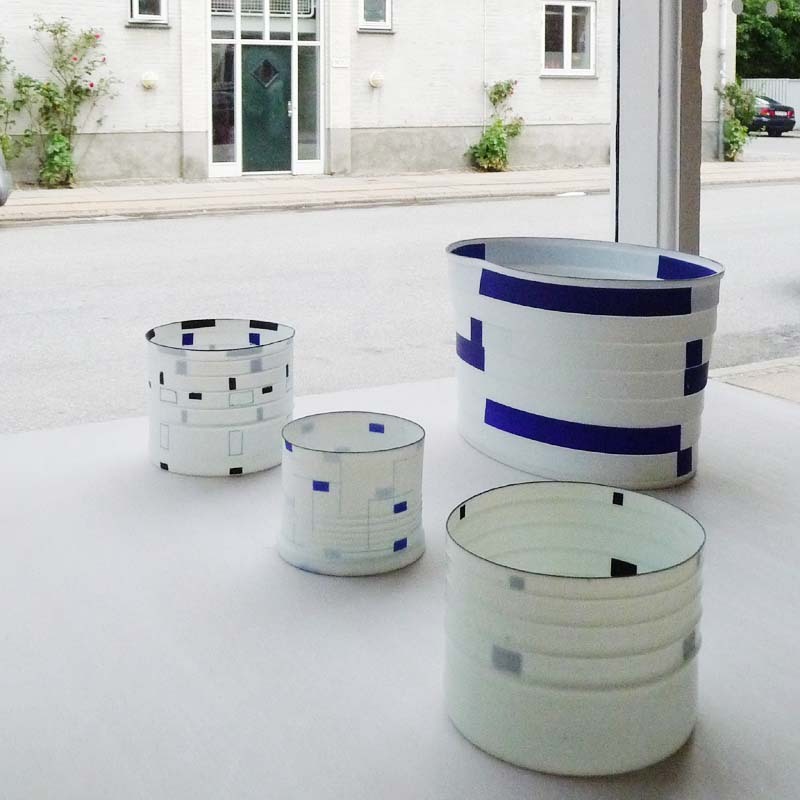 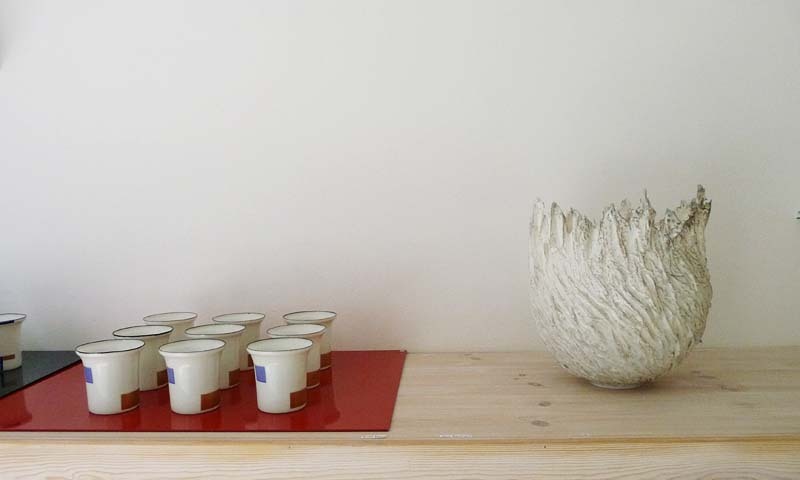 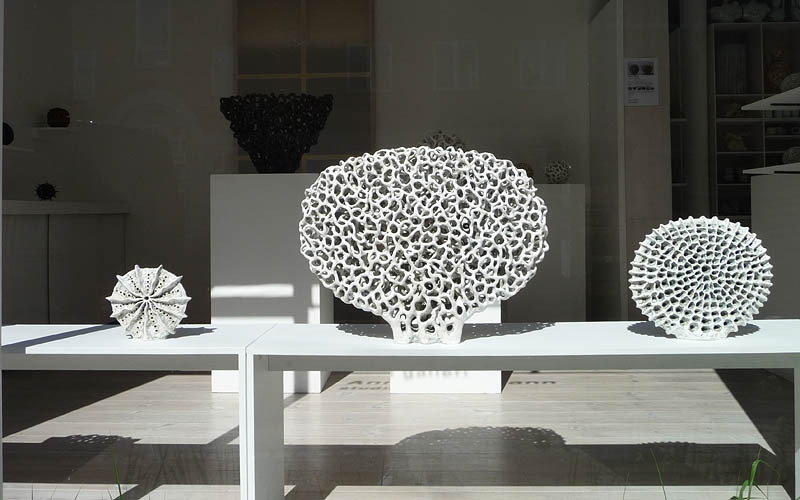 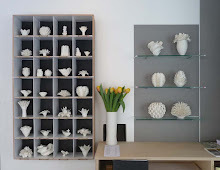 Bodil Manz, Jane Reumert, Malene Müllertz are acknowledged and admired by all Danish lovers of ceramic art for their eminent personal work. 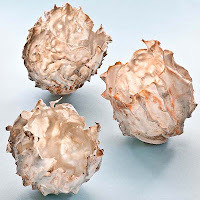 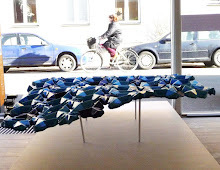 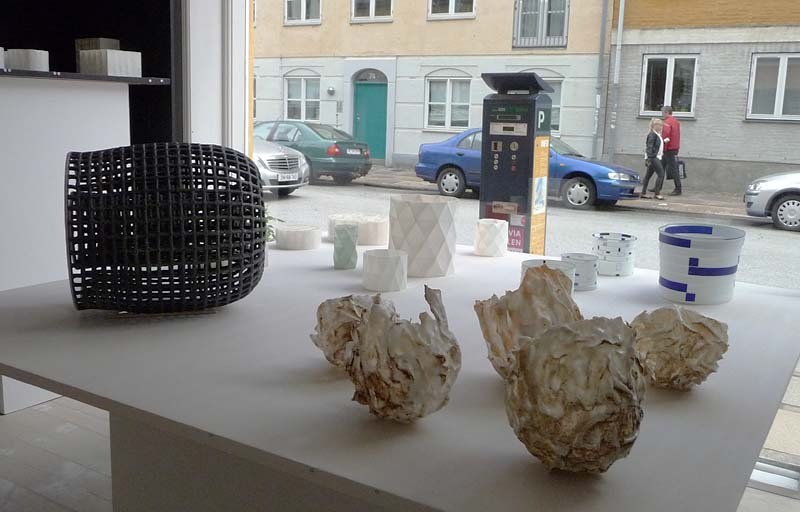 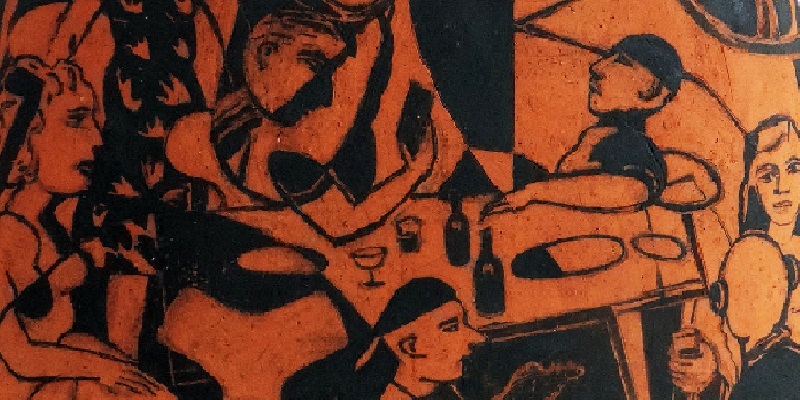 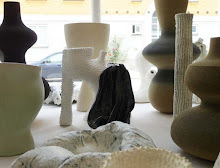 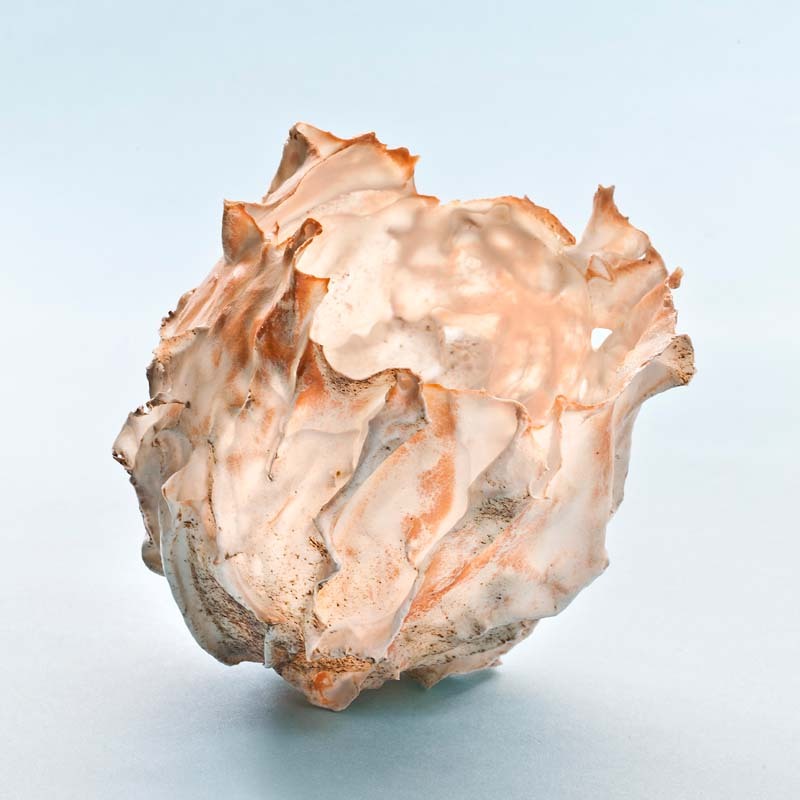 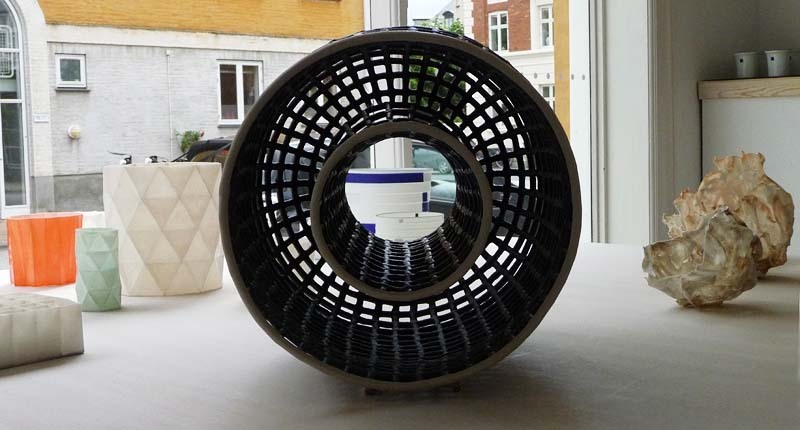 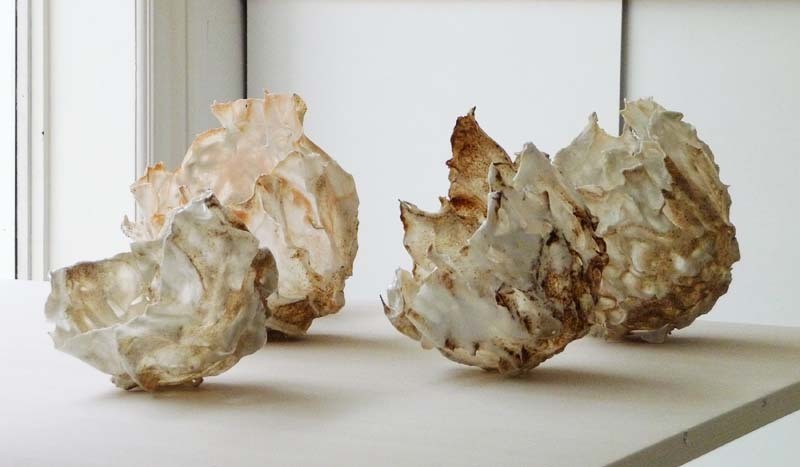 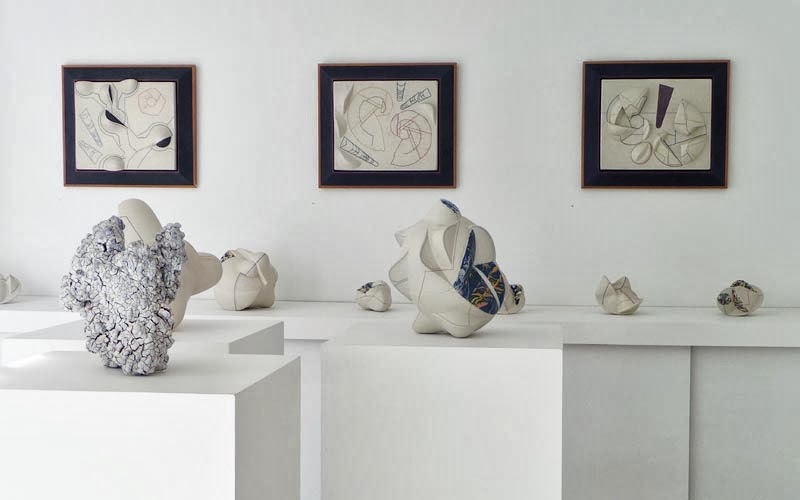 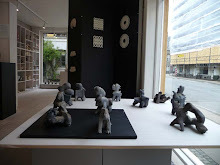 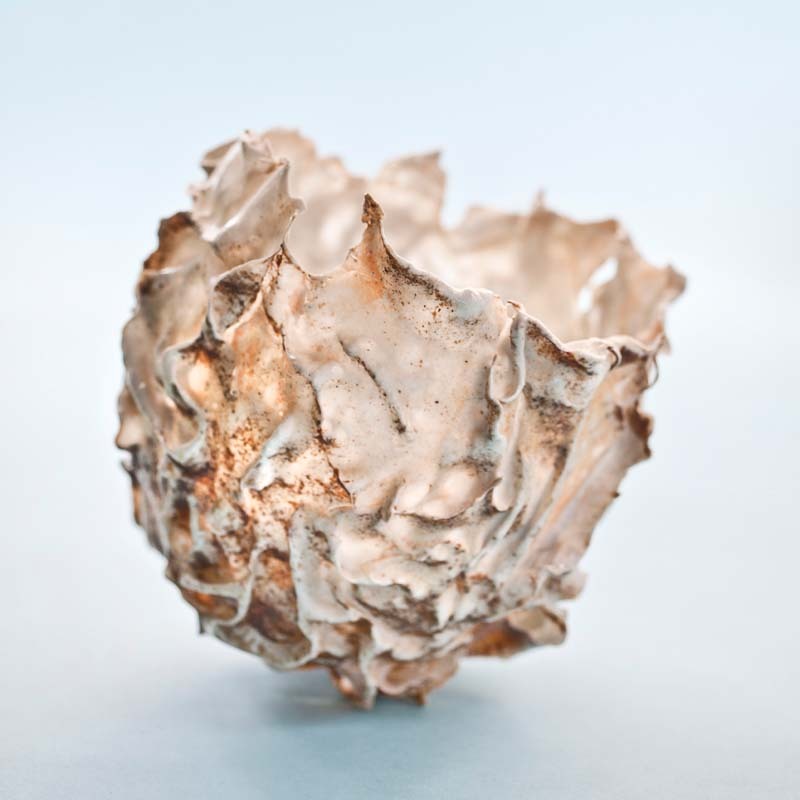 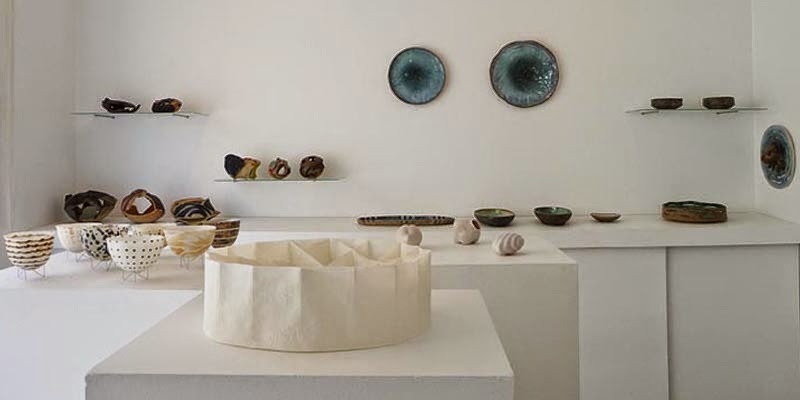 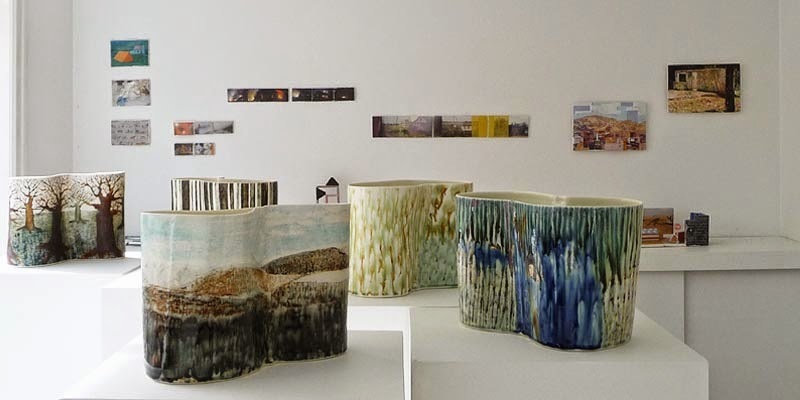 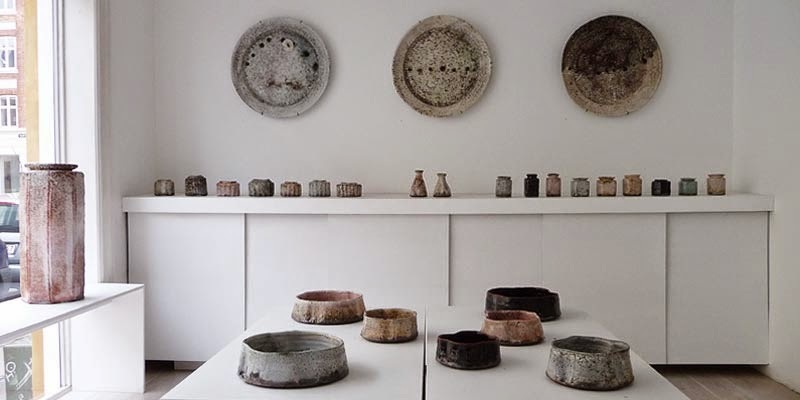 In this exhibition they are accompanied by Heidi Hentze, a young rising ceramic artist, whose recent début received the prestiges Danish Arts and Crafts Award for new ideas, the 'Kunsthåndværkerprisen' in 2011. 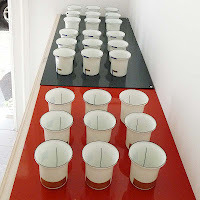 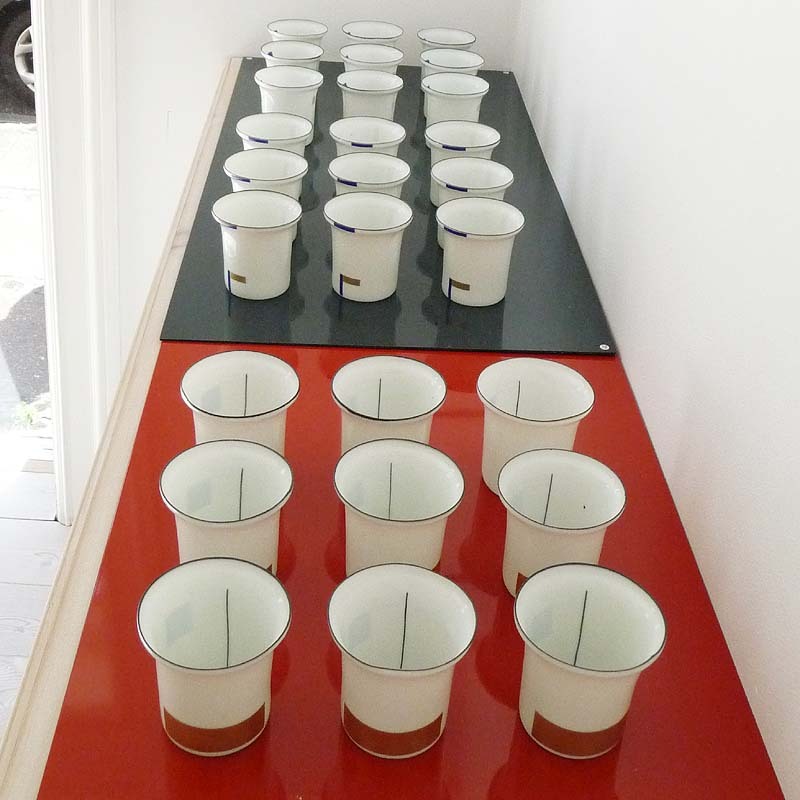 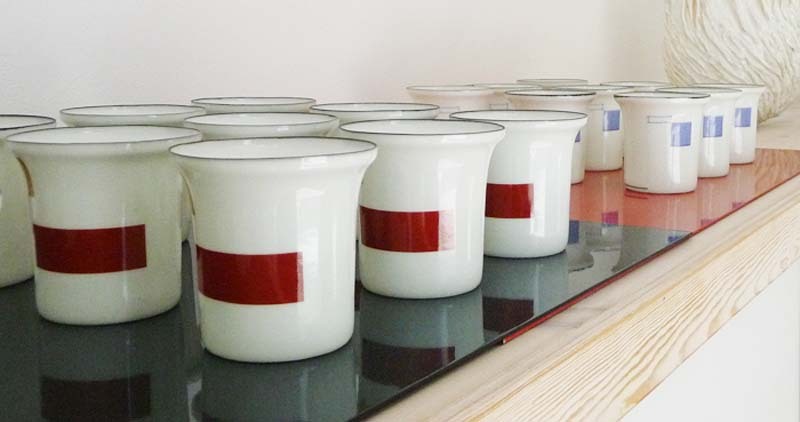 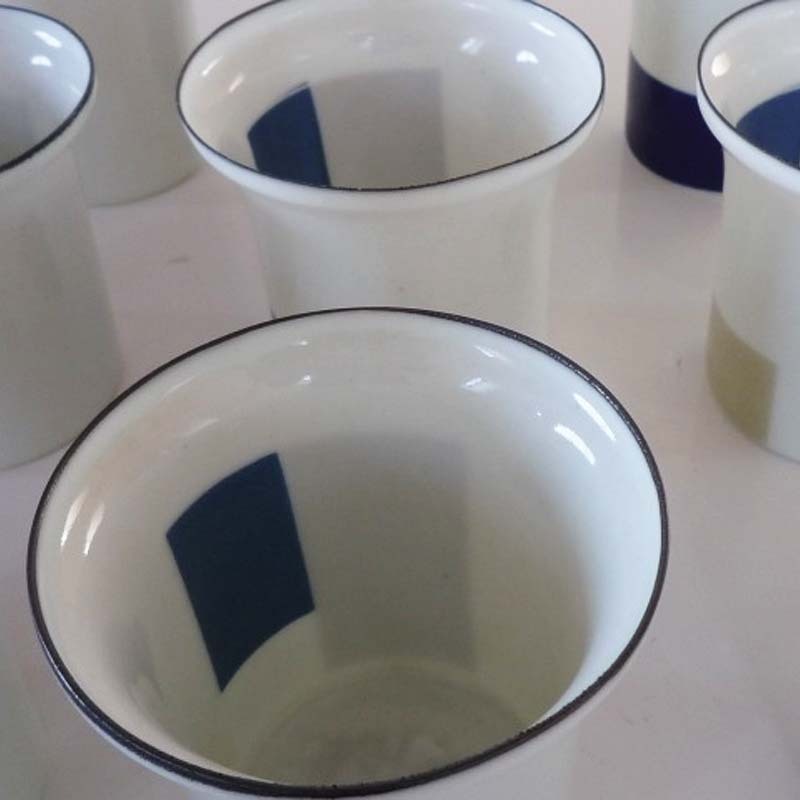 Bodil Manz ”I present a new series of cups in groups of 9, which stand up like toy soldiers – facing the same direction, - a joined composition. 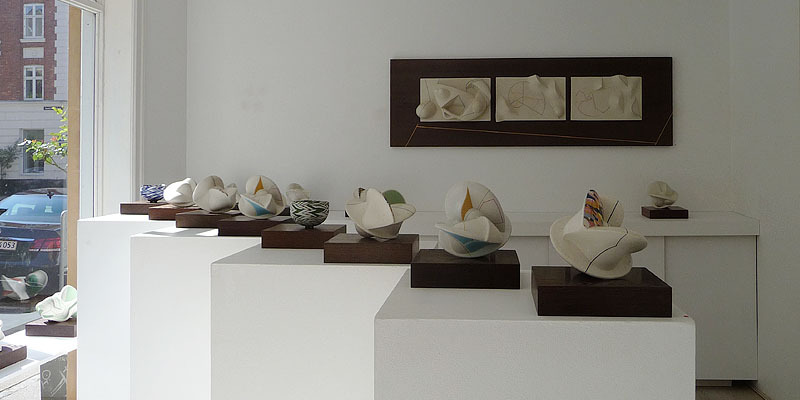 Looking from different angles the expression changes. 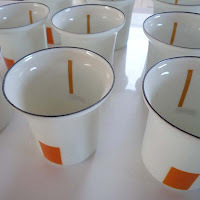 Firstly they are high fired. 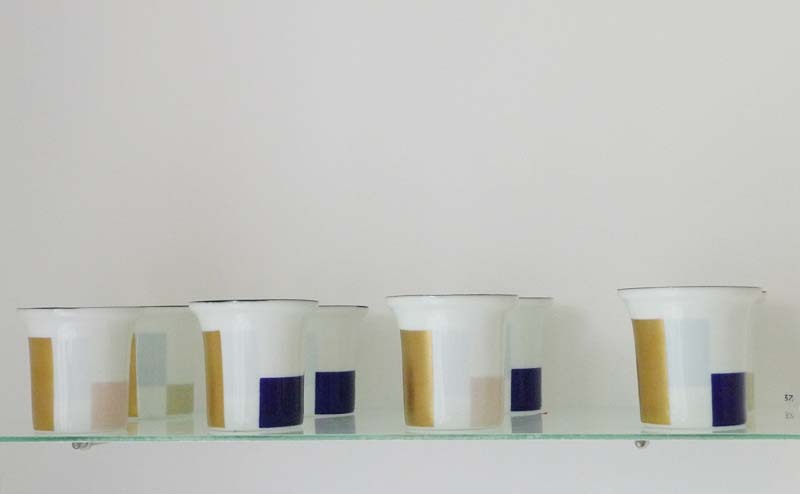 Then another high-firing with the transfers in blue, black and yellow. 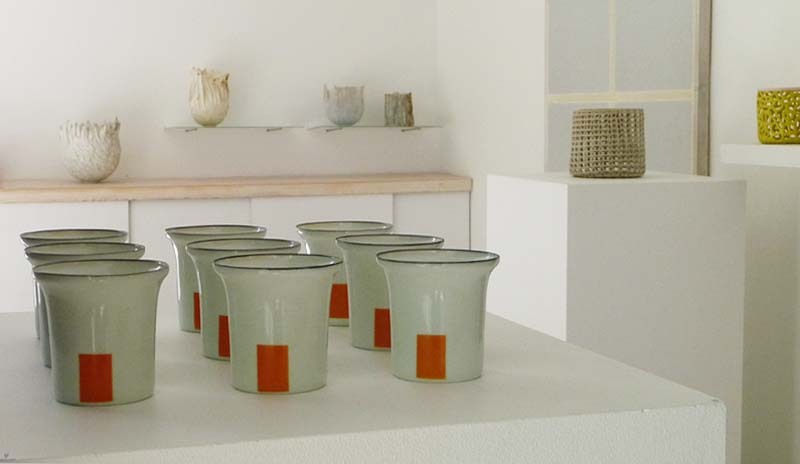 Finally a low firing with Japanese red, orange and gold. 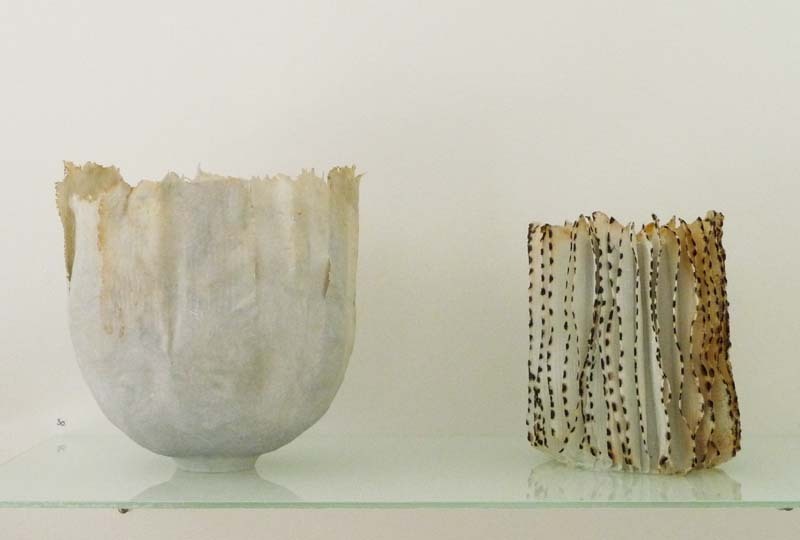 Jane Reumert paints on thin porcelain bowls, light strokes with memories of Danish beaches, or she allows the ashes from the wood firing to deposit naturally on the structures of the form and surface. 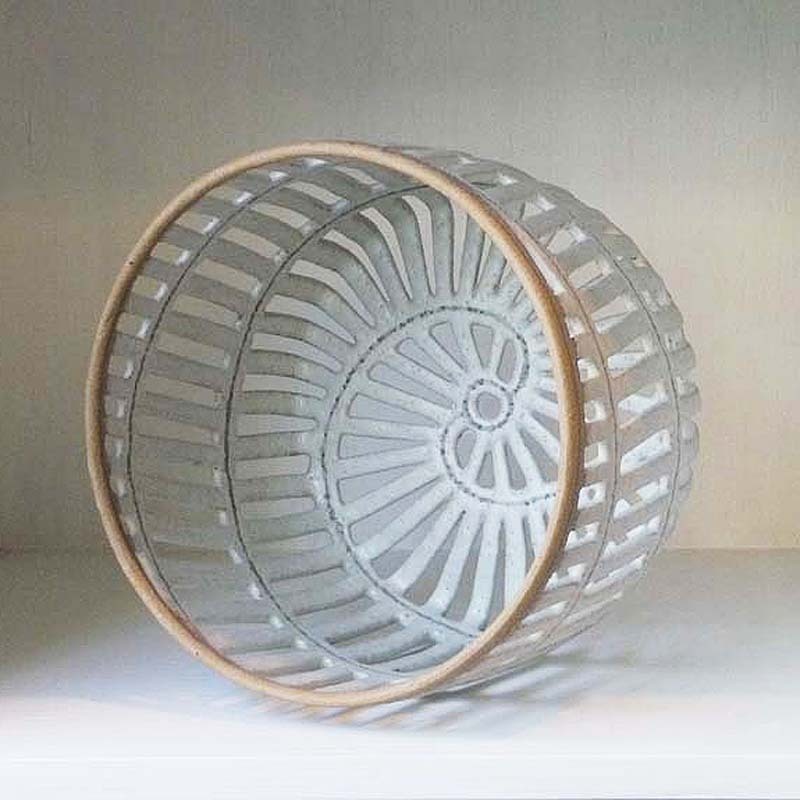 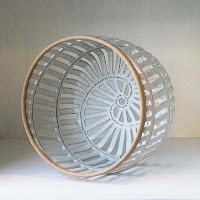 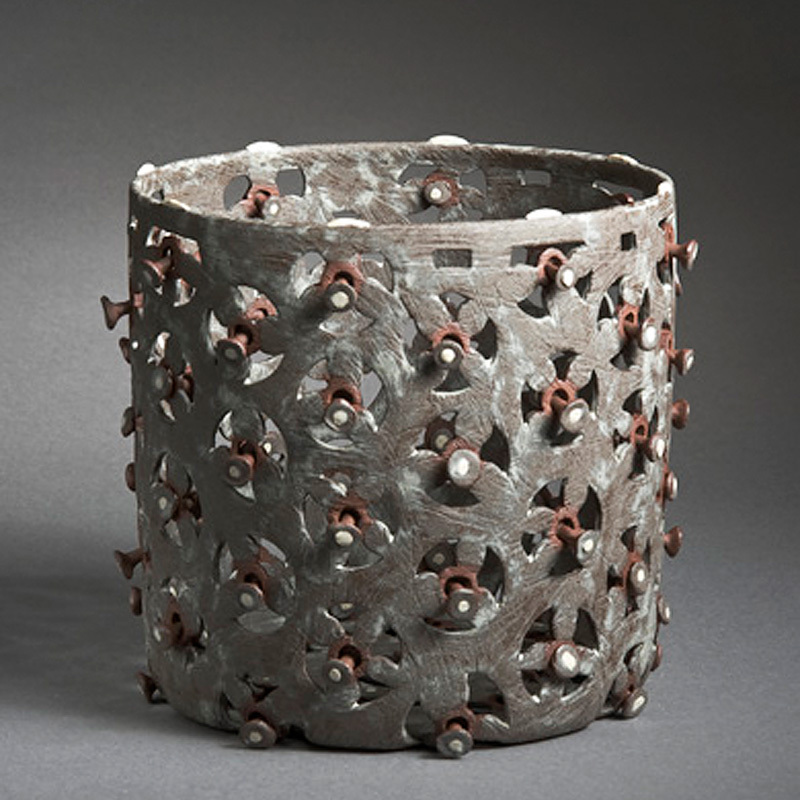 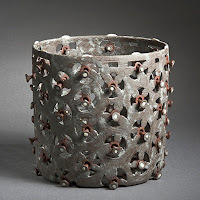 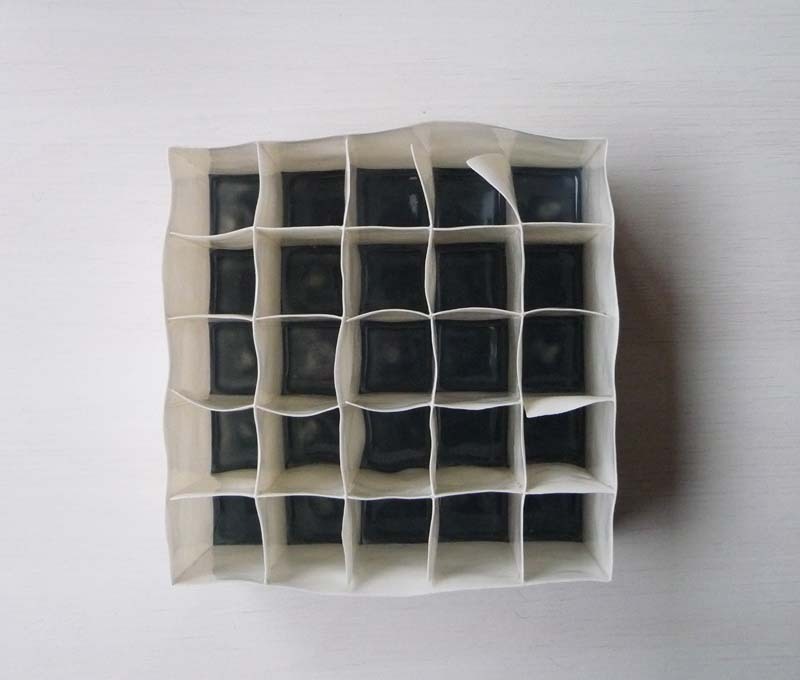 Malene Müllertz cuts intricate net constructions in stoneware, connecting the forms with tactile glaze nuances and simply drawn decorations, and melts all the details together in a wholeness. 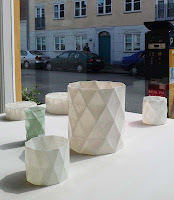 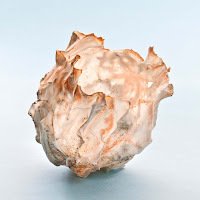 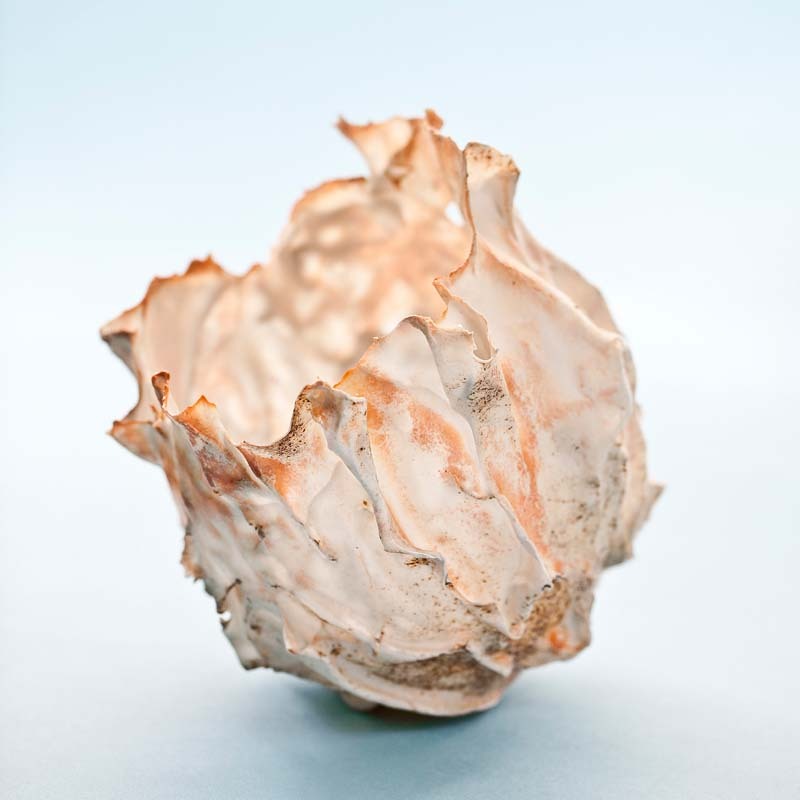 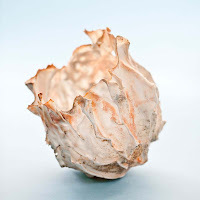 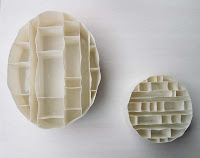 Heidi Hentze experiments with porcelain clay and glaze in poetically folded containers, that reveal new areas for personal and adventurous feelings as in origami and paper cuttings. 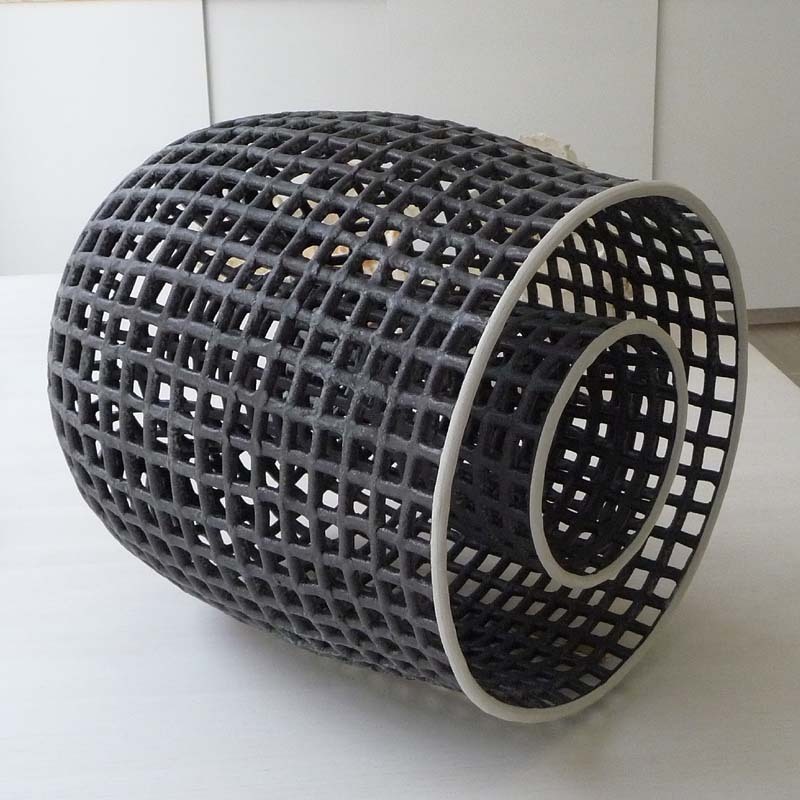 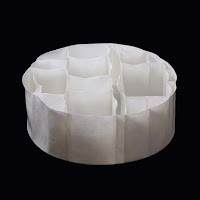 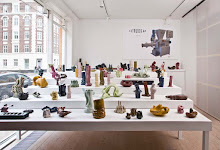 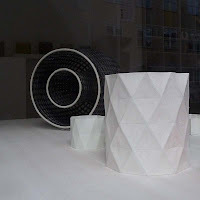 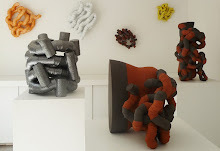 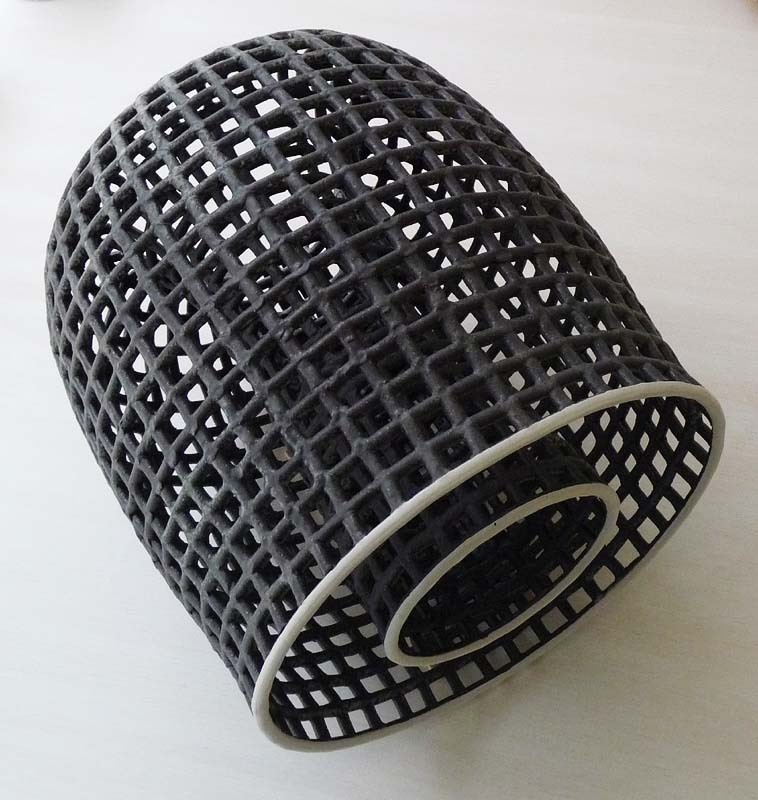 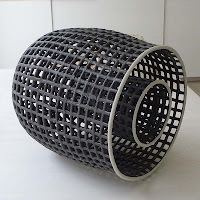 “It started as material tests, the invention and challenge of ceramic techniques and materials. 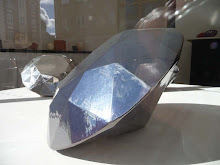 The fight with and against gravitation. 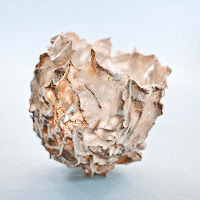 Making things as thin as possible, - and then a bit thinner than this... About seeing and turning flaws to advantages... A state of fragile existence.